Hello, Neighbor! is a community outreach initiative that aims to reduce the problems that come with gentrification through a program that strengthen bonds between old and new members of Garfield. In this project I was the only designer on the team, so I was in charge of leading initial mapping sessions, sense-making and drawing connections between all our main research points, and finding a direction to go in. Alongside Michael, I designed one of our design probes used on-site (see below), and created and conducted surveys and interview questions with Amal and Sarah. I was also in charge of designing all the visual content of the project, and mapping out the final service + user experience system for our program. Our team wanted to bridge the gap between new and old residents of neighborhoods that are facing a lot of change due to gentrification. We approached this issue by flipping around the idea of a "welcome basket" that new residents may receive from their neighbors when they move into a new community. This sets the responsibility on the new residents' side, in which they have to be more active in getting to know the whole community for what it is, and not just the parts they want to see. This program will also hopefully allow all residents in the community to start conversations with each other more easily, by using the Hello, Neighbor! (especially the Community Cookbook section) initiative as a common ground. Pittsburgh has been celebrated with numerous positive accolades over the past few years. The city has been dubbed “The Most Livable City” (2014), “The Next Austin,” and “Silicon Valley 2.0.” However, it is often a “tale of two cities” for many marginalized residents. Although this recognition reveals tremendous successes for Pittsburgh’s revitalization, it often overshadows the narratives of many of the city’s residents that still face stark inequality in their day-to-day lives. The neighborhood of Garfield resides beside the immensely "successful" and gentrified East Liberty, and many of the original residents there have faced the consequences that have spilled over. They have been forced to move further away from the city due to the rapidly rising living costs. Our group wanted to address the fact that newcomers in developing neighborhoods are often young, wealthy, white, and living in the area only temporarily. These residents take advantage of low cost of living in developing neighborhoods, but often to the detriment of the livelihoods of those who are already living there. We found that a core of the problem is that newcomers are moving into developing neighborhoods, but are not actually integrating with the community or understanding the complex social and economic issues the community faces. As part of the class, we worked with the staff of the Urban Redevelopment Authority of Pittsburgh for guidance, and referred specifically to the Empower City to Citizen Engagement section of the Roadmap for Inclusive Innovation. Apart from the URA, we referenced other existing initiatives, that are working towards similar goals as ours, before diving straight into coming up with "solutions". The Welcoming Pittsburgh Plan focuses on making Pittsburgh a "more welcoming city, one that embraces all immigrants while also ensuring Pittsburgh is a most livable city for its current residents". Garfield 2030 is "an ambitious master plan (by Bloomfield Garfield Corporation) to make Garfield a neighborhood of choice for residents and businesses" - including a focus on affordable housing and reducing the vacancy of lots and homes in Garfield. The Hello, Neighbor! initiative will thus provide opportunities to examine commonalities and challenges faced by new and old residents of neighborhoods. The initiative can be expanded to a series of events, but we have designed one specific pilot program concept called the “You Must Be New Here” project. We wanted to give the power to the long-term residents of specific neighborhoods to welcome change and new neighbors to their communities on their own terms. Ultimately, the program will highlight the needs of those who have the most stake in the community while providing a call to action for new residents to become active and mindful participants in the neighborhoods to which they move. Underneath are some additional material (posters) made for this project to present what would be in each tote bag for both old and new residents. Old residents will receive the program (Hello, Neighbor!) tote bag, and new residents will receive a "You Must Be New Here" tote bag from an old resident and a BGC staff/program volunteer once they move in. We are planning to present our initiative to the Bloomfield Garfield Corporation soon, and we are also currently discussing making the Community Cookbook section of this program with 412 Food Rescue. We hope that many neighborhoods in Pittsburgh will take on this initiative, and so this program can connect not just people within the individual neighborhoods, but community to community. We had a long research phase at the start, looking at the broad topic of homelessness. Once we scaled down to look at reducing the number of people becoming homeless due to gentrification, we conducted more personal and focused research with the community members of Garfield, using cultural probes, interviews and just walking around and observing the neighborhood. We started off this project with looking at the really broad topic of homelessness, and how different cities were dealing with reducing the number of people on the streets. In this map, we also mapped out the other stakeholders (like services, volunteers etc) in the spectrum. We recognized how many of our preconceived notions we had towards how people became homeless, and what the homeless are like were inaccurate. We were also curious to how other people in our community feel when they see a homeless person on the streets, so we sent out this survey. We then started to focus on the topic of reducing the stigma people had towards homeless people, looking at projects like the Homeless Hotspots by SouthbySouthwest. 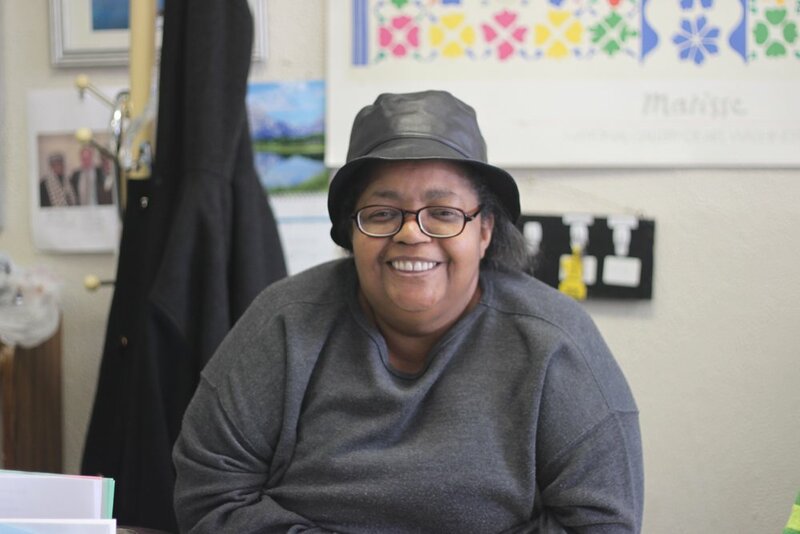 We interviewed Cindy Tilson, a local activist who has been working with many groups within Pittsburgh that provides services for the homeless, such as Operation Safety Net, Housing First Model, Light of Life Mission and many more. We also interviewed Harriet Lockton, who was actively working with the Housing Association in London. Through chatting with Harriet, we learned that many services that are provided for the homeless are created through the opinions of the non-homeless, and how they put their opinions on what the homeless need upon them. This usually creates the disconnect between services and the homeless, since both sides have an inaccurate view upon each other. We decided to focus on tackling homelessness at the roots of the problem, rather than trying to fix the problems at its ends. Reducing the stigma towards the homeless: "NIMBY: Not In My Backyard"
Redevelopment: Pittsburgh is about to experience its next wave of economic transformation: the tech boom. As tech companies are coming into Pittsburgh, and Pittsburgh wanting to become the next tech hub, we predict that many neighborhoods other than East Liberty will experience gentrification, and that is one of the big causes of poverty leading to homelessness. From this point of the research, we realized how the scale we were working at was too large for the scale of our semester project. We decided to scale down to look at the neighborhood of Garfield, and started doing more on-site research, rather than just online research. We started off by roaming around Garfield, and visiting places like the local thrift store, hair salon, restaurants, community gardens and Latham St Commons. After a few visits to Garfield, we realized how diverse the community was. On one of our uber rides there, we were talking to our driver's wife, who came from a family of immigrants but now owns a pizza store in Lawrenceville. She talked a lot about how food was always something that brought people together for her. We were really inspired by how easily we were able to connect with her, through one common ground that everyone loves: food. We then took the conversation over to East End Community Thrift store, and talked to the volunteers and customers there about their favorite foods and if they had any family recipes they would like to share to other people. From that conversation, we also learned that the thrift store volunteers would sometimes have lunch parties together, where they each switch around bringing ingredients each Wednesday, and that was how they got to know each other! A volunteer at the thrift store. From this focus, we thought about creating a Community Cookbook, highlighting community members' favorite recipes, but also their life stories and small things like where they usually get their groceries from. 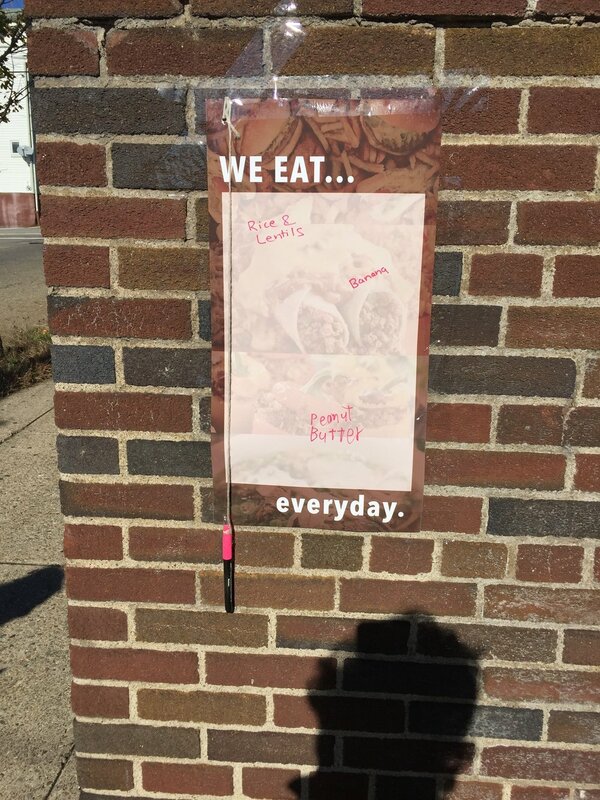 The Cultural Probe that I designed to put up around the community. We got a few responses on the posters, but we realized how this sort of probe is only successful when we are there and engage the community members in the activity. 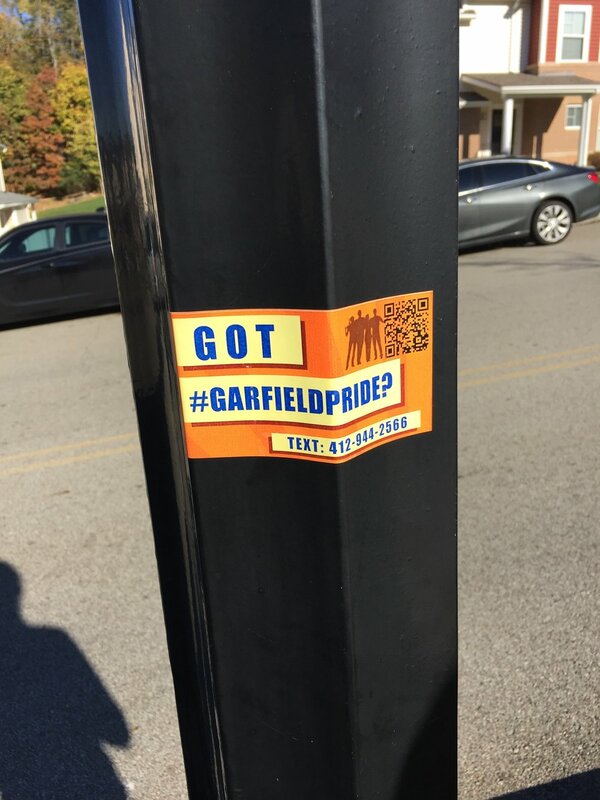 This was of the set of stickers that Michael designed to be stuck around Garfield. We ended up not getting any responses through text or QR code, but it was a good learning experience! From sticking the cultural probes around the community, we ended up chatting with the Palestinian brothers who owns the only market in the incline area of Garfield: "The Garfield Market". 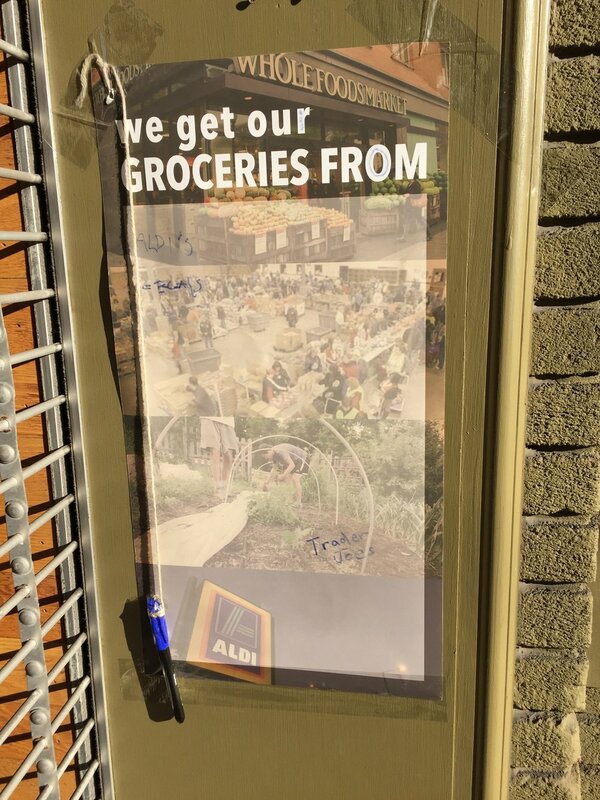 They used to live in Brooklyn, but moved to Pittsburgh to open up this store, with plans to extend it into a full-service market since the residents of Garfield now have to walk all the way to The Strip District to get fresh groceries. At another visit to the thrift store, I also ran into Barry and Donovan, father and son who has been living in Garfield for most of their life. We chatted about their favorite dish, Boiled Pierogies with Chicken, and also things they enjoyed doing around Garfield. During this visit I also bonded with Cookie, the thrift store volunteer, and promised her to teach her and Lisa (another customer in the store) how to cook shrimp fried rice! 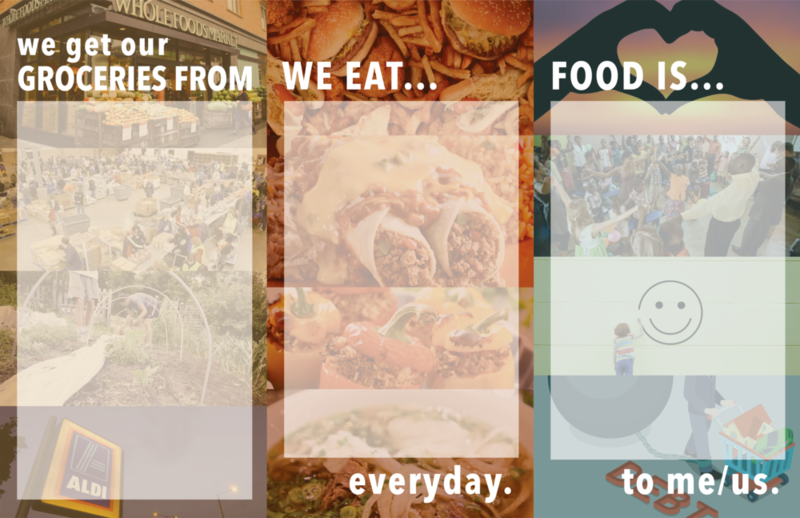 This really solidified our idea, since everyone was so excited to talk about food, and what they like to cook at home. It was really easy to talk to community members and get to know them after we set that one point of connection where we can both relate to each other on - food. 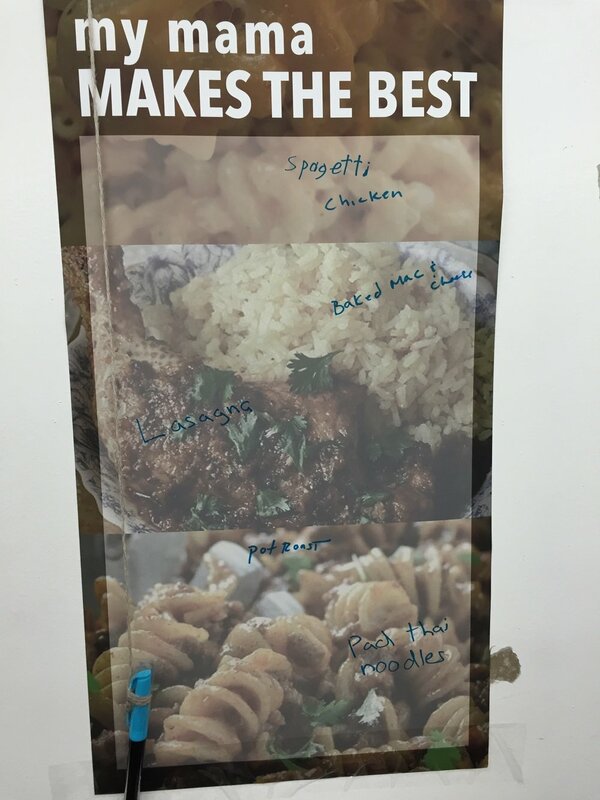 During our final ideation phase, I also went over to Smallman Galley at The Strip District (a chef incubator), and got advice from their manager, Tim Zak. Chef Jessica of Carota Cafe was really excited about our idea, and offered to help train community members how to cook, and also have her team help back them up if we were to host community events where residents were able to cook their recipe to sell to other residents!